MAR DEL PLATA, Argentina (AP) — An apparent explosion occurred near the time and place an Argentine submarine went missing, the country’s navy reported Thursday, prompting relatives of the vessel’s 44 crew members to burst into tears and some to say they had lost hope of a rescue. 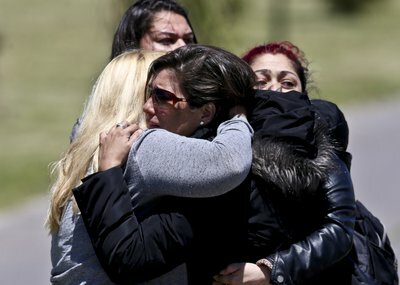 Relatives of the crew who had gathered at the Mar del Plata base to receive psychological counseling broke into tears and hugged each other after they received the news. Some fell on their knees or clung to a fence crowded with blue-and-white Argentine flags, rosary beads and messages of support. Most declined to speak, while a few others lashed out in anger at the navy’s response. Britain’s Ministry of Defense sent a special airplane with emergency life support pods to join the hunt that includes planes and ships from a dozen nations. 0 Response to "Sound heard in Argentine sub search was likely ‘explosion’"